For the past 3 years, the PD Ports Northern Powerhouse Export Awards has been among the biggest dates in many exporter’s calendars. The evening celebrates the top exporters in the North of England and their achievements, with nearly 150 category nominations from companies across the North East, North West and Yorkshire represented among the event’s nominees. Keen followers of the awards, this year our team here at Omnia Machinery had the honour and privilege of being nominated for an award ourselves as part of the ‘New to Export’ category. 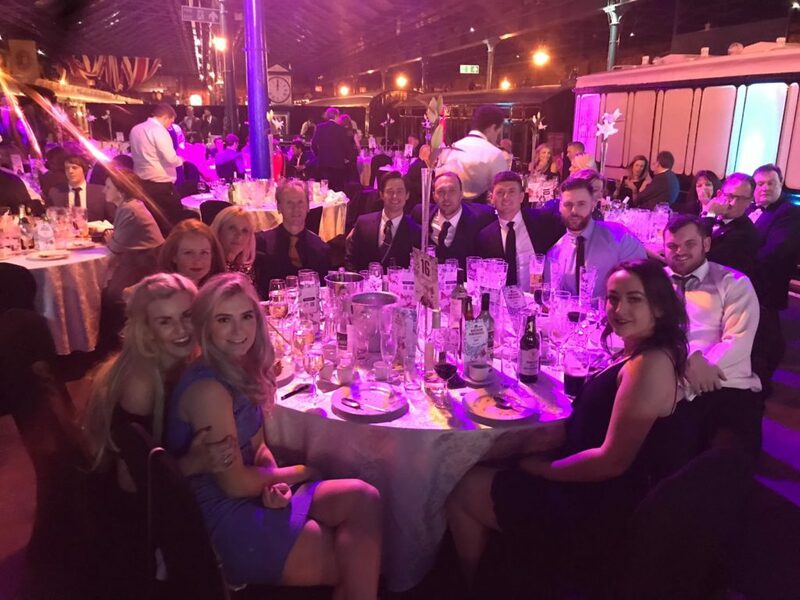 This year’s awards ceremony took place on February the 7th at the National Railway Museum in York, the perfect setting for what promised to be a fun-filled evening of food, drinks and some of the industry’s most influential and respected individuals and companies. We were greeted upon our arrival with a glass of prosecco before being ushered into the impressive entrance hall of the museum as we awaited our table number. Here some of the biggest names in export rubbed shoulders, talked shop and discussed the evening ahead. So what about the evening ahead? As well as enjoying a fantastic 3-course meal and complimentary wine, we were an audience to some amazingly inspirational guest speakers. Among the many notable speakers were the likes of the Baroness Fairhead CBE the Minister of State for Trade and Export Promotion, Counsellor Zhang of The Chinese Embassy, Frans Calje the CEO of PD Ports, BE group’s CEO Nicki Clark and Ian Tandy, the UK Head of Global Trade & Receivables Finance from HSBC. Though we were unfortunate to miss out on the ‘New to Export’ award (congratulations to WASP Rescue!) every facet of the evening as a whole was a fantastic experience. We were honoured to partake in an event which highlights and celebrates the pedigree of businesses successfully exporting from various regions in the North of England. The awards served to bring businesses together and strengthened the critical importance of strong export and trading and their significant value to the United Kingdom’s economy in such uncertain times. We came away from the event feeling incredibly inspired and eager to deliver more exporting excellence to our clients throughout 2019, continuing our reputation for high-quality heavy machinery and an unparalleled customer service experience. Here’s to next year’s event, and many more Northern Powerhouse Export Awards to come.